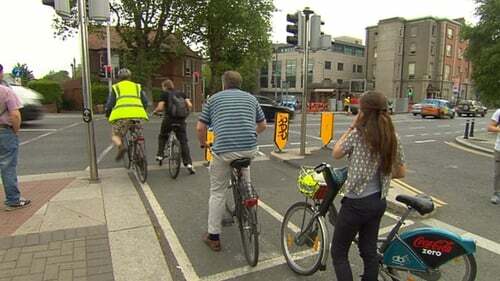 Minister for Transport, Tourism and Sport Shane Ross has committed to introducing a legal minimum passing distance (MPD) for drivers when overtaking cyclists. It will be set at 1.5 metres for roads where the speed limit is above 50km/h and one metre for areas where the limit is 50km/h or below. Minister Ross said it will come into effect as soon as gardaí have procured equipment to measure passing distance. In 2017 there were 15 cyclists killed, which was a 50% increase on 2016. "I have been extremely concerned about the rise in cyclists fatalities on our roads," Minister Ross said. Minister Ross has directed the Road Safety Authority to carry out a study of best international practice and this will be published on the Department's website. While the report states that little conclusive evidence is currently available to support or rebut claims that MPD legislation will specifically address cyclist fatalities, greater awareness by both motorists and cyclists while overtaking was recognised as having safety benefits. Minister Ross said; "if such awareness entails safer driving and fewer fatalities then it will be worth introducing the necessary legislation." In the interim, the RS A will be launching an awareness campaign recommending that drivers allow at least one metre overtaking distance when passing cyclists in speed zones up to 50 km/h and at least 1.5 metres when passing on roads with speed limits of over 50 km/h.